For more insight on volunteering at City Hope, check out this video from KRON4 on City Hope's partnership with the SF-Marin Food Bank and our weekly grocery delivery program. Sign up below to join us! The Food Bank Grocery Delivery program is a partnership with the SF/Marin Food Bank. Each Tuesday morning the Food Bank delivers pallets of food to City Hope to be sorted and delivered to clients who are not mobile enough to go to a food pantry. 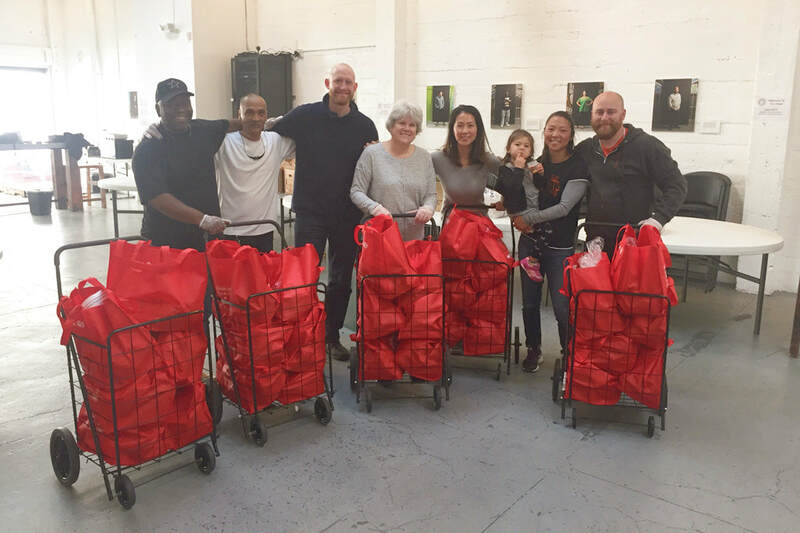 Volunteers sort, bag and deliver groceries in pairs or groups to disabled or elderly men and women living in the Tenderloin within a four block radius of City Hope who aren't physically able to do their own shopping. ​Children are welcome to participate with a parent/guardian! ​A completed background check if you would like to interact with grocery recipients.